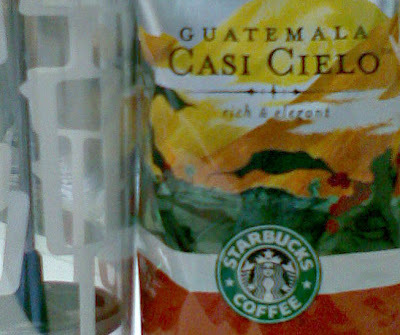 My SO bought some Starbucks Guatemala Casi Cielo for my birthday in advance. I'm so happy. I could now get good coffee at work now without having to visit the nearest Starbucks. Guatemala Casi Cielo is supposed to be available only once per year. In other, unrelated, news: I haven't been able to make many posts this month because the Internet censorship in Thailand is now working overtime. I couldn't access blogger.com half the time, and other websites take forever to load or fail to load completely since the ISP's proxy is working overtime too. Maybe I should switch to wordpress.com, or move to another country.